We have known for years that obstructive sleep apnea (OSA) doesn’t just affect your quality of sleep or cause you to snore: it can have serious, systemic affects on your overall health, including your heart health. In fact, studies have shown that those with sleep apnea have significantly higher morbidity rates in part because patients suffer from related health conditions. In general, treating your sleep apnea doesn’t just save your sleep, it can save your life. Now, two recent studies have come to a new and important conclusion: treating your sleep apnea can make for a healthier heart and a healthier life. Specifically, correctly treating your OSA will mean fewer hospital readmissions and ER visits for any issue. Let’s take a closer look. In the first hospital readmissions study, published in 2014, researchers found that when hospitalized cardiac patients treated their sleep apnea with continuous positive airway pressure (CPAP) devices, the patients’ 30-day hospital readmissions rates and emergency room visit rate dropped significantly. The study followed just over one hundred who had been hospitalized for heart issues like heart failure, arrhythmias or myocardial infarction. Each patient was screened for OSA using an in-hospital sleep study and then followed for 30 days following their visit. None of the patients who consistently used the CPAP device were readmitted to the hospital in the next month, while 30 percent of those who used CPAP inconsistently were readmitted and 29 percent of those who did not use CPAP were readmitted. The roughly 50 percent of patients who were compliant with their CPAP therapy had significantly fewer hospital readmissions in the next six months than those who were not compliant. Researchers concluded that OSA treatment lessens hospital readmissions for heart patients only when patients are compliant with CPAP treatment. We could not agree more that treating OSA means treating a wide range of other health conditions, including heart problems. We also know that CPAP therapy is often not used correctly or consistently by patients. At Surgical Sleep Solutions, we are dedicated to helping every OSA patient find the right treatment for their sleep disorder, whether it is through CPAP, an oral device, lifestyle changes, or OSA surgery. To learn more about our services, to speak with an OSA doctor, or to schedule a consultation, please contact us today by calling (855) 560-7378 or by filling out our contact form below. Although the correlation between obstructive sleep apnea (OSA) and heart disease is well documented, few people know that sleep apnea is also associated with the second most deadly disease in the United States: cancer. A number of diverse studies have found a connection between disordered sleeping and cancer, but there is still much to learn. In this post, we will take a closer look at a few of the most important studies and discuss why OSA and cancer may often go hand-in-hand. A 2013 sleep apnea study found followed almost 5,000 patients diagnosed with sleep apnea in Spanish hospitals between 2003 and 2007. Scientists found that those with more severe sleep apnea also suffered from higher occurrences of cancer diagnosis. Specifically, those with the most severe sleep apnea had a 65 percent higher rate of being diagnosed with cancer. A 2012 cancer and sleep apnea study out of the University of Wisconsin Followed about 1,5000 people for 22 years through the Wisconsin Sleep Cohort. After correcting for other factors, the study found that those with severely disordered breathing at night were five times more likely to die from cancer than those with normal breathing patterns while asleep. A 2015 study of mice found that mice exposed to low-oxygen environments at night (mirroring the effects of OSA) had tumors grow much more aggressively than mice who had regular exposure to oxygen. An American Academy of Sleep Medicine study that followed almost 400 people for 20 years found that severe sleep apnea made participants over three times more likely to develop cancer. The same study, which controlled for confounding factors like body mass index and smoking, also correlated severe sleep apnea with high rates of stroke and morbidity. Why Are Sleep Apnea & Cancer Connected? Even though multiple studies have drawn a strong line connecting sleep apnea and cancer, researchers and scientists still don’t understand why those with disordered breathing during sleep are more likely to be diagnosed with cancer and more likely to die from cancer. However, some doctors have theories about the relationship. The most popular theory is that sleep apnea causes hypoxemia, a lack of oxygen in the blood. This cronic lack of oxygen may cause the body to create more blood vessels, which then act to “feed” cancerous growths. Although this theory has not been proven, several studies have correlated not just sleep apnea, but also hypoxemia, to cancer diagnosis and cancer death. At Surgical Sleep Solutions, our central mission is to help all OSA patients get the treatment they need for sleep apnea that will help them live a fuller, happier, healthier, and longer life. While some patients are successfully treated for sleep apnea through lifestyle changes, oral devices, or CPAP therapy, others still struggle to find a treatment that works for them. We offer an innovative sugery, bimaxillary advancement, that effectively cures OSA in over 95 percent of our patients. To learn more about our treatment option, or simply to talk to a doctor about your sleep apnea, we invite you to call 855-560-7378 or fill out our quick contact form. A new study published in the journal Developmental Medicine & Child Neurology has found that children suffering from cerebral palsy and epilepsy are often also suffering from a sleep disorder such a obstructive sleep apnea (OSA). The study also found that children with cerebral palsy and sleep apnea can be more easily located and diagnosed through routine screenings that involve a simple questionnaire. 88 children with neither cerebral palsy or epilepsy, but who had some developmental disabilities. The study then used the Gross Motor Function Classification System (GMFCS) in order to determine the level of cerebral palsy as well as the Pediatric Sleep Questionnaire (PSQ) to determine screen the children for sleep apnea before running more formal sleep apnea diagnostic tests. Researchers found that 58 percent of the children with cerebral palsy and 67 percent of the children with epilepsy recorded significantly increase PSQ scores, as compared with only 27 percent of the children with neither disorder. Additionally, the study found that the group of children with both cerebral palsy and epilepsy were most likely to suffer from obstructive sleep apnea. 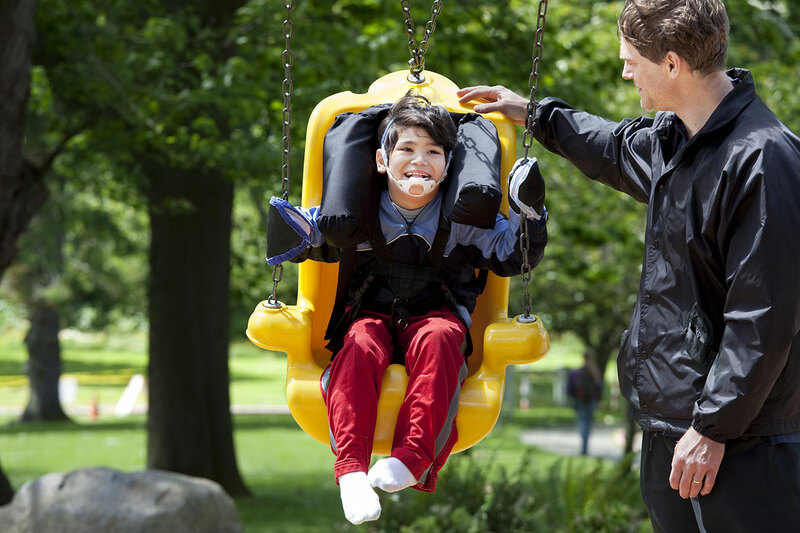 The study also found that The greater the child’s score on the GMFCS, which measures the severity of the cerebral palsy, the more likely the child suffered from OSA. Finally, the study found that the PSQ identified 46 percent of the children at risk of sleep apnea than did the medical record review for symptoms of OSA, which only identified slight over 8 percent of cases. The study’s lead author John Garcia believes that this study will help more kids with cerebral palsy and epilepsy diagnosed with sleep apnea – and sooner than before. He points out that treating sleep apnea in these groups of children can have significant advantages, especially when it comes to their overall health, as other studies have shown that treating OSA in these cases have fewer seizures, contract fewer respiratory illnesses, and see more gains in treatments. Children who have been diagnosed with sleep apnea have a number of treatment options, including CPAP therapy or sleep apnea surgery, depending on the individual details of their case. At Surgical Sleep Solutions, we are committed to finding the right solution for everyone, both now and for future generations. To learn more about what we do, please contact us today. Surgical Sleep Solutions does not directly treat children suffering from OSA but can provided resources to help find the right treatment path. After several years of wondering whether he might suffer from a sleep disorder, Texas Ranger and designated hitter Prince Fielder was finally ready to do something about his daytime fatigue and his struggle on the field. During spring training in March, the professional baseball player and six-time All-Star took a three-day break from practicing to return to Texas and undergo a sleep study. The results were not a surprise to Fielder, who had been having issues with daytime sleepiness on and off the baseball diamond. The baller suffered from severe obstructive sleep apnea (OSA) – he stopped breathing as many as 39 times per hour during his overnight study. For now, Fielder is treating his newly-diagnosed sleep apnea with a continuous positive air pressure (CPAP) device, which involves wearing a mask each night when he goes to bed. 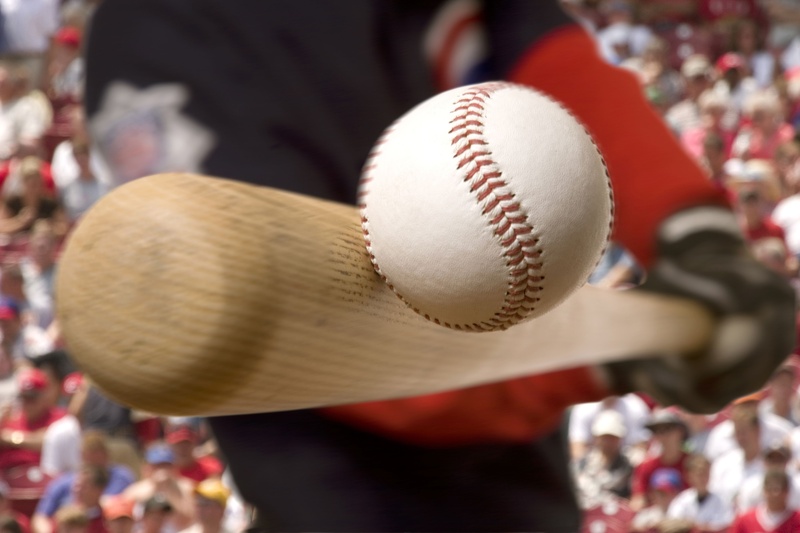 With the baseball season ahead, a more permanent solution such as bimaxillary advancement surgery won’t be on the table until fall. While treating sleep apnea has not been directly tied with elevated sports performance, it is proven to make patients healthier, more alert, and quicker to react. This may give Fielder an edge while playing first base or trying to hit balls out of the park. Fielder is far from the only professional athlete to suffer from sleep apnea. In fact, former Texas Ranger and current Cleveland Indians player Mike Napoli discovered that he suffered from obstructive sleep apnea in 2014. The first baseman and catcher could not get a good night’s sleep and was sure that his performance on the field was suffering. When he confirmed through a sleep study that he suffered from OSA, he underwent bimaxillary advancement surgery during the off-season. Now, the player feels rested, experiences dreaming, and has been able to continue his successful career. At Surgical Sleep Solutions, we understand that people with sleep apnea come in all shapes, sizes, and ages – and that a significant number of athletes may be affected by OSA. This is because athletes may have higher BMIs and thicker neck circumferences due to muscle mass or narrower airways due to sports injuries such as a deviated septum. 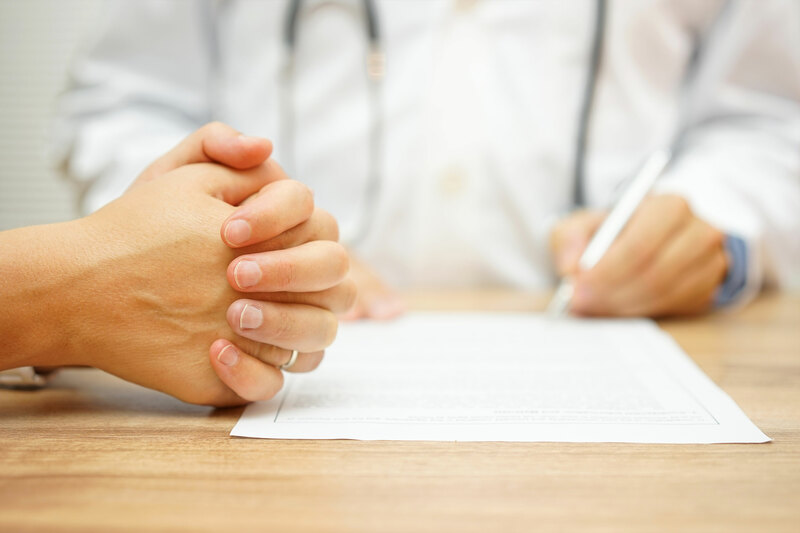 To learn more about our sleep apnea surgery services, or simply to schedule a consultation with one of our doctors, please contact us today: 855-560-7378 or fill out our form below. If you have been seeking a working treatment for your obstructive sleep apnea (OSA) for a long time, it’s likely that you have come across some very strange solutions to your problem, from implants and patches to oral devices and pillows. However, none might be stranger than the claim that playing the digeridoo can lessen your OSA symptoms. However, although it is odd, digeridoo and sleep apnea clinical studies have show that the claim may hold water – and that picking up a new (but ancient) instrument could help you rest better at night. A digeridoo is a long, large wind instrument invented by the Aboriginal people of Northern Australian an estimated 1,500 years ago. These cylindrical musical instruments are between three and ten feet long and produce a low, unique droning sound. The digeridoo is played using circular breathing, a technique that allows musicians to breathe in through their nose while breathing out through their mouth simultaneously, allowing them to play sustained notes for long periods of time. One digeridoo player, Mark Atkins, played a sustained note for 50 minutes. The first clinical study exploring the relationship between digeridoo and sleep apnea took place at the University of Zurich, where researchers split sleep apnea sufferers into two group: one control group and one group that was introduced to the digeridoo. The digeridoo players were given four lessons with a digeridoo instructor and asked to practice at least 20 minutes per day, five days per week, for four months. The study found that all five categories improved significantly for the group that played the digeridoo, especially the participant’s reported daytime sleepiness. In addition, the study found that participants enjoyed the therapy: on average, the participants played for almost six days a week instead of five and for an average of 25 minutes per day instead of 20. Finally, the study found that playing the digeridoo had no adverse affects on the patient an no unforeseen outcomes. In general, the study concludes that the digeridoo is an effective treatment for OSA. Why Does The Digeridoo Help Manage Sleep Apnea? While the exact reasons that digeridoo playing helps treat OSA aren’t known, scientists have a few good theories to explain why it is a good therapy for some people suffering from the condition. It strengthens throat muscles. The digeridoo is a large wind instrument that requires strength in the lungs, throat, and mouth to play. Practicing multiple times a week strengthens these muscles, improving the overall airway. It improves breathing. Playing the digeridoo requires circular breathing, in which the lungs remained filled as a person breaths in and out at the same time. This breathing technique strengthens the lungs and helps players breath easier at night. It promotes meditation. Finally, playing an instrument regularly is a great exercise for mental health. Clearing your mind for 20 minutes each day to focus on music and relaxation can improve stress levels, lower depression, and perhaps help you rest better at night. Are You A Good Candidate for Digeridoo Therapy? 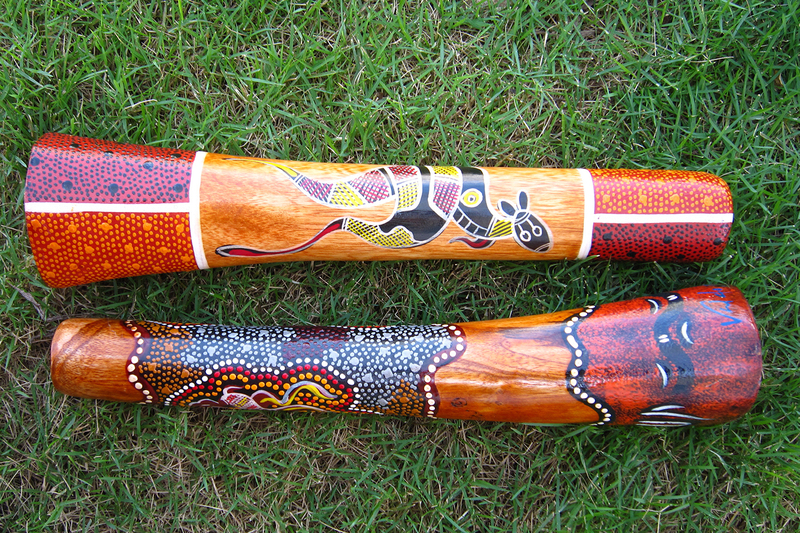 It is important to note that not all patients will benefit equally from picking up the digeridoo. Patients with moderate to severe sleep apnea may find that the digeridoo helps their OSA but does not eliminate it. Others may find that playing a digeridoo doesn’t fit well into their lifestyle. At Surgical Sleep Solutions, we understand that different OSA patients need different OSA treatment approaches. Contact us today at 855-560-7378 or set up a consultation below to find out what the best treatment plan may be for you. In recent years, the federal government and the trucking industry have struggled to find a solution to an emerging issue: truckers with obstructive sleep apnea (OSA) are causing accidents and getting injured simply because they are not sleeping well at night due to their health condition. As differing groups attempt to work together to find a solution to this serious problem, a new study has revealed just how important it may be for truckers and the trucking industry to put the issue of OSA truck drivers onto center stage. The study, a combined effort between the Harvard T.H. 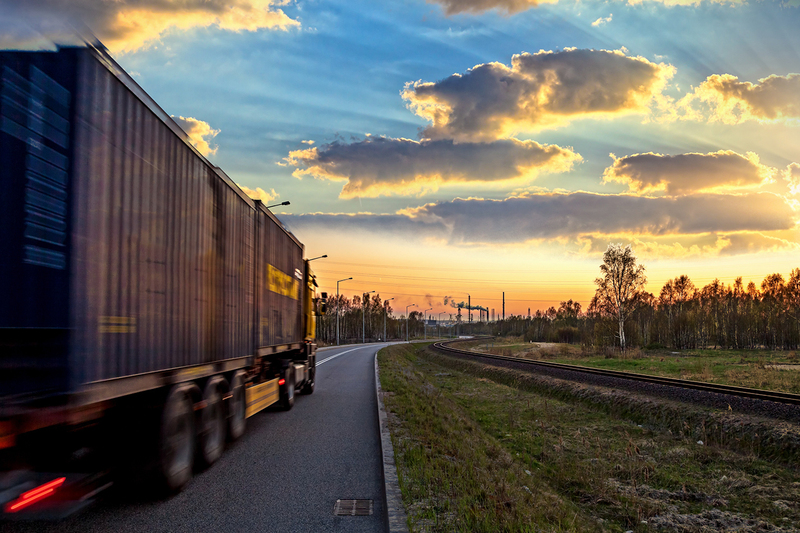 Chan School of Public Health, University of Minnesota, Morris, and Brigham and Women’s Hospital, looked at the driving records of over 3,600 commercial truck drivers, about half of which have been diagnosed with sleep apnea. In the study, those with sleep apnea were given continuous positive air pressure (CPAP) devices that were electronically monitored for compliance. The rates of preventable serious truck crashes per 100,000 miles driven were compared across all of the study participants, including those without sleep apnea, those with treated sleep apnea, and those with untreated sleep apnea. The results were shocking. Those who had untreated OSA were five times more likely to be involved in a serious, preventable truck accident. Those who had treated OSA or who did not have OSA had the same, much lower, crash rate. While it may at first appear that this study tell us what we already know (sleepy truck drivers cause more accidents), it answers a few key questions that have been raised over and over again in recent years related to whether or not there should be new regulations in place regarding OSA and commercial drivers. Specifically, we now know that drivers with treated OSA perform just as well as drivers without OSA as well as that drivers with untreated OSA have a much, much higher accident rate. The next step is knowing how we should use the information to improve the health of commercial drivers, improve safety on our roads, and to improve the success of the trucking industry. It seems clear that the solution will involve a better plan for screening, diagnosing, and treating commercial drivers with sleep apnea. At Surgical Sleep Solutions, we have committed our careers to helping those who suffer from obstructive sleep apnea reclaim their health and improve the overall quality of their lives. As part of our efforts to eliminate sleep apnea, we are enthusiastic about helping both truckers and trucking companies find effective, efficient solutions to the issue of sleep apnea harming drivers and causing collisions. To learn more about our efforts within the trucking industry, or if you are a trucker who would like to speak with a doctor, please call us at 855-560-7378 or fill out form below and we’ll get back to you as soon as possible. Dr. Stephen D. Ochs of Surgical Sleep Solutions presented a bimaxillary advancement abstract at the 29th Annual Meeting of the Associated Professional Sleep Societies conference in Seattle, Washington. In addition to the presentation of the sleep apnea surgery poster at the conference, the investigation’s abstract was featured in Volume 38 of SLEEP’s abstract supplement. This supplement is presented by the Journal of Sleep and Sleep Disorders Research, published by The Associated Professional Sleep Societies, and a joint venture of the American Academy of Sleep Medicine and the Sleep Research Society. The abstract was titled: “Outpatient Delivery of Bimaxillary Advancement as a First Choice for the Treatment of Moderate to Severe OSA.” The investigation took a close look at the bimaxillary advancement treatment model developed by Surgical Sleep Solutions, from how it offers an effective alternative to CPAP to how it provides a safe and shorter recovery period. Over the last 11 years, Clark O. Taylor, M.D., D.D.S, and Dr. Stephen D. Ochs, M.D., J.D., M.B.A., have developed an outpatient delivery model for bimaxillary advancement for those who have sleep apnea and are seeking alternatives to CPAP devices. In their investigation, they propose that their treatment model should be a first choice ahead of traditional Stage 1 surgical procedures, such as UPPP, hyoid suspension, genioglossus advancement, and septoplasy – and that these procedures should be reserved as secondary interventions. 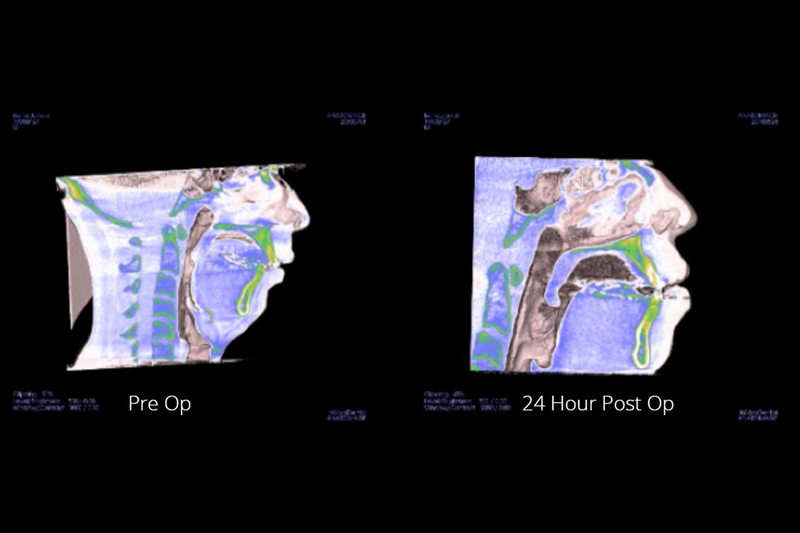 Pre-op and post-op evaluation with a 3D airway CT scan. Pre-op and post-op sleep apnea symptoms assessment and sleep study. Surgery at a Certified Office Based Ambulatory Surgical Facility. Overnight observation without a hospital stay. The sleep apnea investigation found that 95 percent of all evaluated patients experienced the complete improvement of OSA symptoms and that none needed to utilize a CPAP machine. 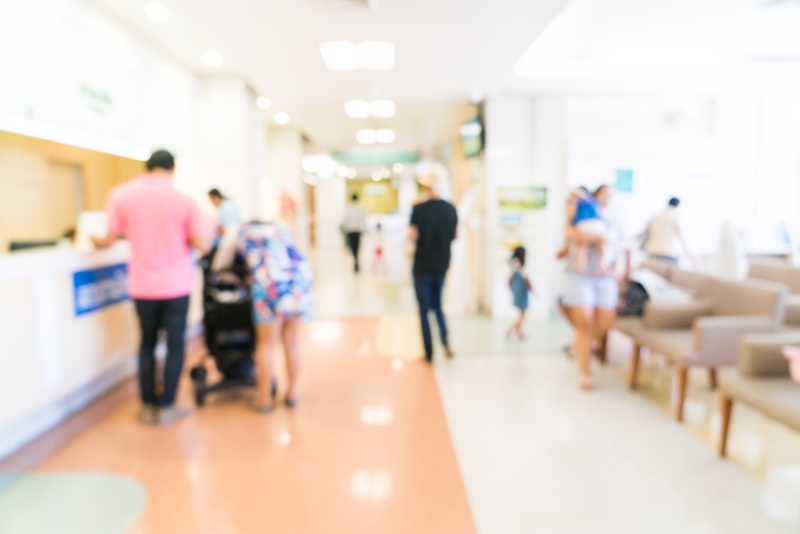 All patients reported subjective satisfaction with the outcome In addition, there were no unplanned hospital admissions. Of 500 patients, five showed residual or mild sleep apnea symptoms in sleep studies, though symptoms like snoring were not observed by sleep partners. Bimaxillary advancement surgery under this treatment model should be a first choice for patients with moderate to severe sleep apnea who aren’t finding success with CPAP. Long-term results of up to ten years show that this is a “curative” procedure for OSA. Could bimaxillary advancement be the right treatment choice for you? Learn more about our delivery model and get all of your questions answered by contacting us today. A new sleep apnea study, published in the most recent issue of the journal Respirology, has found that those with sleep apnea have a 59 percent higher risk of developing chronic kidney disease (CKD) over four years than those who do not suffer from the sleep disorder. 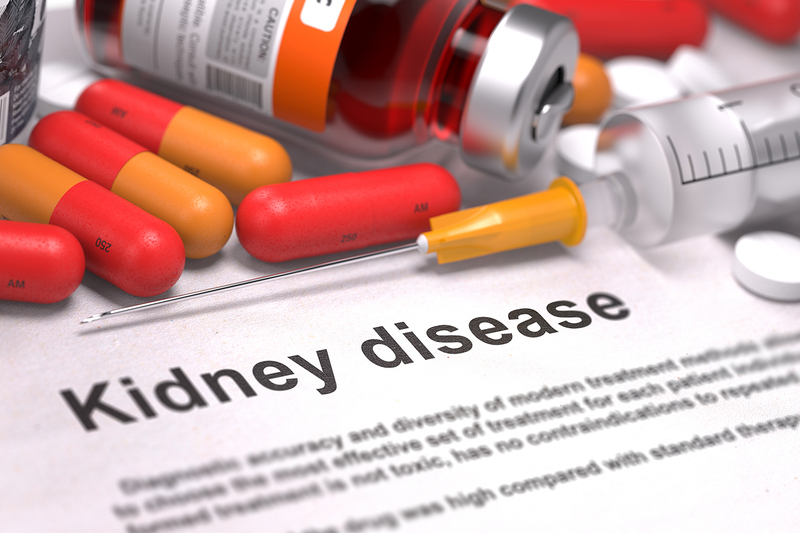 Specifically, sleep apnea is connected to the development of chronic kidney disease at the same rate as hypertension. The study, titled “Association of sleep apnea with chronic kidney disease in a large cohort from Taiwan,” followed 43,434 patients over the age of 20 in Taiwan from 2000 to 2010. Of the study participants, 8,687 had been diagnosed with sleep apnea and 34, 747 did not suffer from sleep apnea. Researchers corrected for other factors, such as body mass index, diabetes, and age. They found that participants who suffered from sleep apnea were significantly more likely to become diagnosed with chronic kidney disease – about as likely as they were to be diagnosed with high blood pressure but not as likely as they were to be diagnosed with type 2 diabetes. While this is one of the first studies to take a close look at the risk of developing chronic kidney disease after being diagnosed with obstructive sleep apnea (OSA), past OSA studies have found that those with CKD who are on dialysis have a much higher rate of sleep apnea. Specifically, one study conducted in Japan found that 65 percent of partifipants with CKD had sleep apnea. While the exact relationship between sleep apnea and chronic kidney disease is not fully understood, scientists believe that apneas during sleep result in elevated blood pressure, renin-angiotensin activity, and oxidative stress, which may cause endothelial dysfunction. In addition, sleep apnea has also been linked with glomerular hyperfiltration, a health condition in which the filtration elements in the kidneys produce excessive amounts of protein in the urine. It seems that sleep apnea is being associated with an ever-growing number of related diseases, from obesity and high blood pressure to depression and drug addiction. At Surgical Sleep Solutions, we have found that effectively treating sleep apnea not only improve OSA symptoms, but also improves many aspects of our patients’ lives and wellbeing. To learn more about our bimaxillary advancement surgery, please contact us today. Can Tongue & Throat Exercises Help Sleep Apnea? Recently, we discussed how obstructive sleep apnea can affect your ability to exercise as well as how aerobic exercise can help control your sleep apnea. Today, we will look specifically at how simply exercising one area of the body – your throat and tongue – may help some patients improve their sleep apnea symptoms over time. In 2009, the American Journal of Respritory and Critical Care Medicine published an OSA study that took a close look at whether exercising the tongue, soft palate, and lateral pharyngeal wall could be an effective treatment option for those with sleep apnea. The study, “Effects of oropharyngeal exercises on patients with moderate obstructive sleep apnea syndrome,” followed 31 patients with sleep apnea over three months. Half of the patients engaged in breathing exercises (the control group) while half engaged in tongue and throat exercises. Improved their overall OSA symptoms by an average of 39 percent. It is important to note that the exercises did not affect body mass significantly and that the study’s participants suffered from moderate OSA, not severe OSA. It is also important to note that the study did not track the long-term affects of treating OSA with throat exercises. Although the study simply correlated throat exercises with improved sleep apnea symptoms, researchers believe that strengthening the throat and tongue helps build new muscles in the airway and prevents airway narrowing or collapse at night. In addition, throat exercises may decrease neck circumference, which in turn puts less weight and pressure on the airway at night. One possible issue regarding engaging in throat exercises for sleep apnea is that patients must consistently and correctly do the exercises each day. Some are concerned that, much like CPAP, a large percentage of patients will not remain compliant over the long term. Those with severe sleep apnea, or those who are looking for a alternate treatment for their sleep apnea may wish to consider a surgical solution, such as bimaxillary advancement surgery. To learn more about this procedure, or to speak with a doctor about your OSA, contact us below. There are two major types of sleep apnea: central sleep apnea (CSA) and obstructive sleep apnea (OSA). In order to be properly treated for your sleep apnea, it is absolutely vital that you are diagnosed correctly with either CSA, OSA, or a combination of both. Obstructive sleep apnea is by far the more common type of sleep disorder. As the name implies, OSA causes patients to stop breathing during sleep because of an obstruction in the airway. Obstructions could be caused by weak throat muscles, large tonsils or uvulas, narrow airways, or small mouths. OSA can be treated through CPAP devices, which provide continuous air pressure; oral devices, which temporarily opens the airway; or sleep apnea surgery, which permanently opens the airway. Central sleep apnea is not caused by obstruction, but by the absence of correct signals from the brain. Instead of a physical blockage in the mouth or throat, CSA is caused by an issue related to the brain. Very simply, your brain stem is not able to send the correct signals to the muscles that control your breathing, causing breathing to cease. Shortness of breath during sleep. Issues with concentration, memory, and attention. Who Is At Risk For Central Sleep Apnea? Note that some people may develop central sleep apnea after using CPAP to treat their obstructive sleep apnea. This is called complex sleep apnea. In many cases, central sleep apnea is treated by treating the condition that is causing it. If that is not possible, conservative treatments are similar to conservative OSA treatments: creating good sleep habits, sleeping on your side, abstaining from alcohol, and losing weight. Many types of central sleep apnea can also be treated with CPAP devices – this is especially true of CSA associated with heart health issues. Understanding the exact causes of your sleep apnea is key to finding the right treatment for you – and finally finding a good night’s sleep. While bimaxillary advancement surgery is not suited for treating CSA, we sill hope and wish that everyone with sleep apnea finds a solution that works for them. To find out more about your possible sleep disorder, please take our online sleep apnea evaluation.